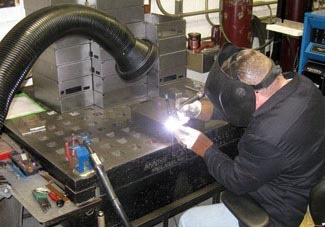 Edker Industries, Inc. purchased a Model 400 Welding Fume Extractor for use when welding stainless steel. 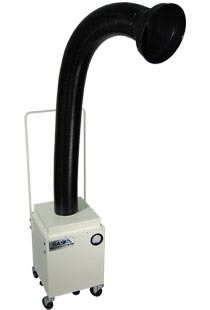 "Last summer, OSHA placed an air sampling device on our employee while he was welding stainless steel. It was a relief when the results came back 'None Detected' for Chromium VI and Chromic acid. The fines from one incident would have probably been more than the cost of the Sentry Air filtration unit. Obviously it was money well spent. Not only from the savings on possible fines but also the appreciation from employees when they know we care enough about their health and safety to purchase top notch safety equipment." 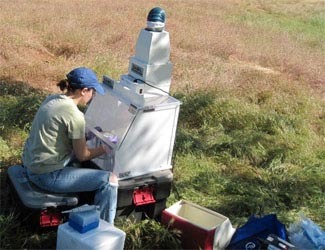 "I am using the Sentry Air unit to conduct tissue extraction in an outdoor field setting. I work with a very powerful fixative solution that I use when I extract brain tissue, and the unit has proven to be both protective and efficient in containing the chemical within the hood. The system is also portable and easy to move, which has proven to be of great importance as I move between field sites frequently. Assembly and disassembly is very simple, and the unit has proven to fit my needs as a molecular biologist working outdoors under a variety of conditions, be it changing weather or terrain. 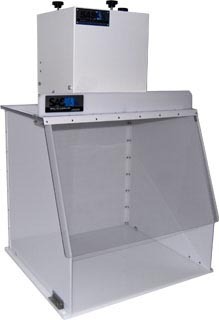 I would highly recommend this fume hood to any biologist or chemist that requires protection and portability, as it has proven to be both durable and reliable." "The assembly procedure was very straightforward and I was extremely impressed with both the high quality of the components and their precision of fit. Additionally, the operation of the device exceeds the rated cfm values at all operational speeds. This ductless hood will absolutely meet my lab room requirements. Our facility safety and environmental director had requested that I demonstrate its operation to him which I did. We conducted cfm measurements at various locations and motor speeds. Negative pressures were recorded throughout our evaluation. Both of us were very impressed with the results. 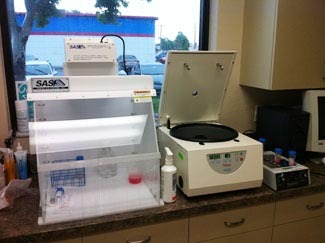 We will definitely recommend SAS products for future purchases to our various laboratories. 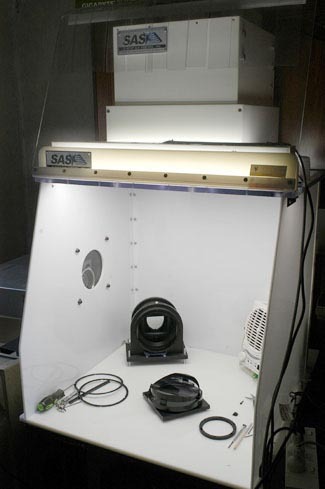 Thank you and SAS for providing such high quality and superior performing products." Paulette, a licensed Acupuncturist, utilizes the Sentry Air Model 300 Portable Floor Sentry during moxa treatments. When moxa (derived from an herbal plant) is burned, it releases smoke and odor. 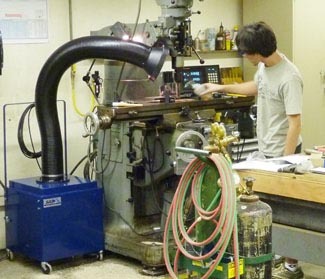 “In our machine shop, we perform a number of operations including milling, lathing, welding and soldering/brazing. Most recently we were tasked with milling a bunch of 3/4" thick plate steel. The resulting smoke and smell from the cutting oil was overwhelming. We tried to ventilate the room with fans but it was ineffective due to our shop being air conditioned within another larger shop. I decided to look for a portable air cleaner which could be used for all tasks. After looking at several different manufacturers, it became obvious the SS-400-WFE portable air cleaner was far and beyond the one to get given its compact size & portability, low noise, good airflow, low power consumption, and versatility. After receiving our SS-400-WFE, I am happy to report smoke and smell are things of the past. The SS-400-WFE completely eliminated both. The design is elegantly simple and it’s also well built and should last for many years to come.